It is compatible with Oculus Rift adventure. 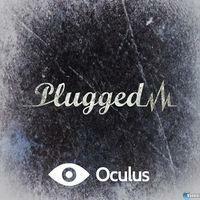 Endtimes Studio , a development team formed by former employees of Blizzard Entertainment, TakeOne studio, Games Workshop and Eipix Entertainment, has announced that they are seeking funding on Kickstarter to create a new game called Plugged . This is a kind of first-person adventure game where we have to make many decisions that will alter the course of events, leading us to see different paths, events and finals. The study a major Game features will be its compatibility with Oculus Rift , because they want to put ourselves fully into the world title, allowing solve puzzles with the movements of our eyes and our head. ← LG G4, comparative: finally get LG dominate the high-end Android?